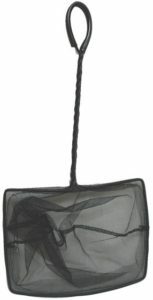 The Laguna Fish Net is ideal for safely handling your pond fish. This soft net is made with an optimum size mesh that is ideal for catching fish because it allows you to move it quickly through the water. Size of net is 8 in. x 6 in. with 10 in. handle.